Dr. 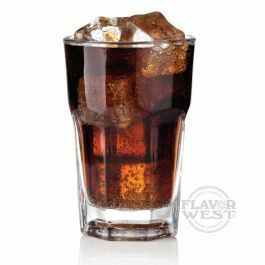 Soda flavor comes with the characteristics of a cherry-like soda flavor which makes the taste unique. Type: Dr. Soda water soluble flavoring. Ingredients: Natural and Artificial Flavoring, Water, Ethanol and Glycerin. USP Kosher Grade Flavoring. Usage Rate:15-20% for E-use. Flavor Suitability: Drinks and beverages, desserts, pastries, candies, lip balm and more. Specific Gravity: 1.15 No Refunds on Flavoring. The flavor tastes like Doctor Pepper, the freaky part is there's no carbonation so many people pull the vaporizer out of their mouths like they picked up a warm, flat soda, then they go back to tasting. Lot of positive feedback for this one. We use this at 14% without sweetener and it's just like it came out of a soda fountain.